BOLD by Kattour is a line of handmade, one-of-a-kind jewelry made with natural gemstones and a variety of metals. But, more than anything else, BOLD is an attitude about yourself and the freedom to express yourself in a BOLD manner. BOLD Jewelry is about ATTITUDE! BOLD is about how you feel about yourself and your life— Beautiful, Limitless, Strong, Powerful, Exhilarated, Fearless, Joyous, Flirty, Feminine, and of course Free! If you’re ready to “MAKE A STATEMENT,” then BOLD Jewelry is your perfect accessory. Expression is articulated in more than just black and white! BOLD Jewelry employs color-- complementary and contrasting--used to bring the natural and semi-precious gemstone jewelry to life. When I design each piece I allow the stones to speak to me—nature “hints” at the colors that will make the piece sparkle—and I obey! 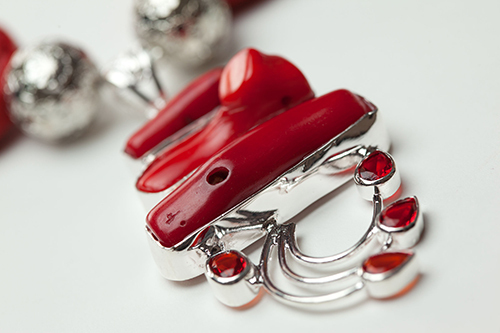 BOLD Jewelry is designed to be unique and memorable. You will get noticed because BOLD Jewelry is a one-of-a-kind! Some pieces will be large, some will be small, but each will be interesting, fluent and lively! Each piece will say something about you—are you ready to MAKE A STATEMENT? Life is short, so eat decadent desserts, buy luxurious handbags, and wear great, BOLD Jewelry.